As the season hits the halfway stage, the Citroën Total Abu Dhabi WRT has entered a new line-up in Sardinia. The Citroën C3 WRCs will be driven by Kris Meeke / Paul Nagle, Craig Breen / Scott Martin and Andreas Mikkelsen / Anders Jæger. Following rounds in Argentina and Portugal, the WRC visits another country where rallying is practically a religion. Italian drivers and manufacturers have played a key role in the history of the World Championship since it was founded. On the WRC calendar, the legendary Rallye Sanremo was replaced by Rally Italia Sardegna in 2004. The competitors were introduced to road surfaces and conditions that were very different to those on the Italian Riviera. On the Mediterranean island, the stages are incredibly demanding, for the drivers, cars and tyres alike. The narrow and twisty gravel roads are surrounded by thick vegetation, hiding the large rocks that the drivers are well advised to avoid hitting with their wheels. As the ground is invariably covered with a thick layer of sand and dust, the running order tends to be of critical importance on the first pass on the stages. The challenge is different again on the second run: the drivers have to cope with ruts that become deeper as more cars complete the stage, as well as the bedrocks that can become exposed, almost anywhere. Bearing in mind that temperatures may approach 30°C during the weekend, it is easy to see why many crews are apprehensive about this seventh round. The rally is due to kick off on Thursday evening, with the ceremonial start in Alghero and a 2km-long super special stage. The cars then cross the island, from the west to the east coast, stopping in Olbia for the night. Following this transfer, the crews will tackle the daunting stages of Terranova and Monte Olia on Friday. Saturday features the fullest programme, including the long Monti di Ala’ and Monte Lerno speed tests. This final stage of the day includes the famous Micky’s Jump, a popular meeting point for the Italian rally fans and one of the event's highlights. Contested without a service break, Sunday's final leg is something of a sprint finish, with just four short stages. Three C3 WRCs have been entered by the Citroën Total Abu Dhabi WRT for the Italian round. In the Drivers' and Co-drivers' World Championship standings, Craig Breen and Scott Martin are the team's highest ranked crew. Seventh on 43 points, the Anglo-Irish duo have shown tremendous consistency in finishing fifth in Monte-Carlo, Sweden, Corsica and Portugal. In Sardinia, Breen will once again have to cope with very limited knowledge of the roads. As a result, another top-five finish would be an entirely satisfactory performance. Ninth with 27 points, Kris Meeke and Paul Nagle scored almost their entire tally when they won Rally Mexico. In a season of highs and lows, the Citroën C3 WRC crew will be aiming for an error-free event as they look to secure another positive result. They clearly have the speed, as witnessed in the many stage wins recorded in the last four rallies. They just have to convert their speed into results. Officially announced just after Rally de Portugal, the arrival of Andreas Mikkelsen and Anders Jæger in the team has undoubtedly been the most talked-about development ahead of the rally. Despite being short of running time in the C3 WRC, the Norwegian will be able to make the most of his experience at the event. Having secured top 10 finishes at Rallye Monte-Carlo and the Tour de Corse in a WRC2-spec car, Andreas lies eleventh in the World Championship standings. 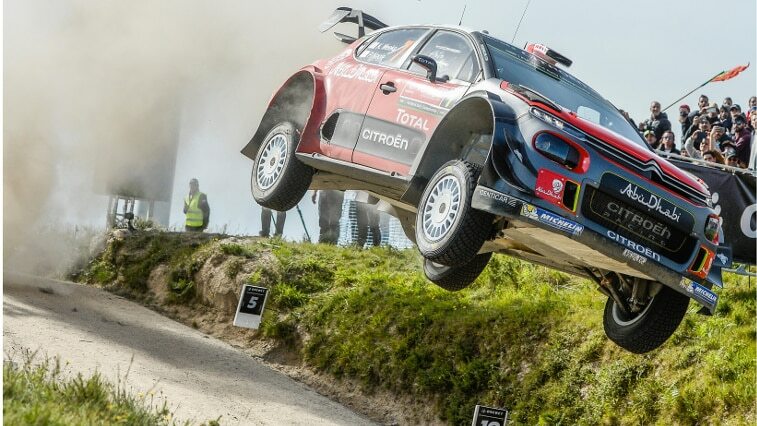 Although it is difficult to predict where the no.9 C3 WRC will end up in the standings, it is certain that Citroën Racing's new recruits are bursting with motivation. Yves Matton, Citroën Racing Team Principal: "We have decided to keep the same modest goals for this rally: we have asked our crews to ensure two cars finish in the top five. Obviously, the fact that Andreas Mikkelsen is competing at this event for us has caused a lot of excitement and expectation. But after just one day of testing, it is impossible for him to know the C3 WRC inside out. He will therefore be free to race according to his feeling in the car and adapt his pace accordingly. His road position for the first leg will be very beneficial, but he won't be the only one. Kris Meeke will also have a great chance." Laurent Fregosi, Technical Director: "Due to the heat, the fairly low average speeds and the rough character of the stages, we know that Rally Sardinia will be one of the most demanding events of the season for the cars. The slightest mistake can prove very costly for the drivers, given that there are so many rocks alongside the Sardinian roads. We didn't conduct any testing after Rally de Portugal, since we spent a week in the Olbia region in early May. We're confident about the potential of the C3 WRC on this surface. Analysis of the data gathered in Portugal confirmed that we are heading in the right direction." Kris Meeke: "Obviously, we've had a couple of disappointing rounds in Argentina and Portugal. We are fully focused on getting back on to the positive trend that helped us to win in Mexico, and lead the Tour de Corse before having a technical problem. As we didn't compete in Sardinia last year, we're going to have to re-familiarise ourselves with the rally. The stages are technically difficult and slippery, so your driving needs to be incredibly precise, especially when the road is narrow. From a pure racing point of view, it isn't necessarily that enjoyable to drive on this type of surface, but we'll try hard to have a solid race. I think it's a good thing to have Andreas in the team. He brings valuable experience and he has the potential to win rallies. We'll work together to ensure Citroën wins." Craig Breen: "Like Argentina and Portugal, pretty much all of this rally is going to be new to us. I did recce in 2016 and we did some testing in Sardinia a few weeks ago, but that's still not very much compared with the guys who have been competing at this event for several years. To try and compensate, I have prepared meticulously for this rally. For example, viewing on-board footage has helped us to spot the largest pitfalls and trickiest sections. After a series of fifth places, I'd be delighted to get the same result in Sardinia, before tackling more familiar events such as Poland or Finland. I'd like to say welcome to Andreas; we don't know each other very well at the moment, but I'm looking forward to working with him." 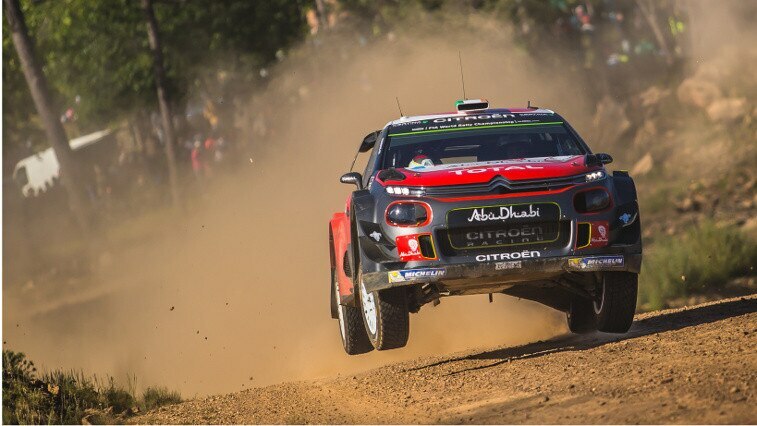 Andreas Mikkelsen: "The last few days have been exciting, seeing the Citroën Racing factory for the first time, meeting the members of the team and, of course, getting to grips with the car in the south of France. The roads used during the test were very different to those we'll see in Sardinia, but it gave me a good idea of the potential of the Citroën C3 WRC. With the downforce and the power of the engine, the feeling in the car was good – it's an impressive piece of machinery. We started to work on the set-up in order to adapt it to my driving style. Next weekend, I have no idea where we'll be in relation to the other crews. We'll have a favourable starting position for the opening leg, but the standard is so high in the WRC at the moment that we won't be taking anything for granted. We'll do our best on this tough event." Rally Sardinia takes place on the 8th - 11th June and you can watch all the action on our Facebook live stream.